The information in this, and other sections, complements the material in Australian Winemaking. 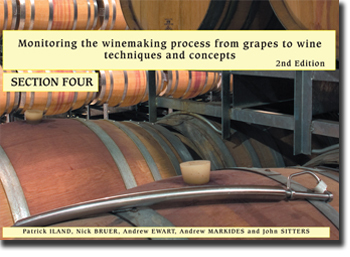 Australian Winemaking provides a broad overview of the basis for winemaking processes and outlines the techniques necessary for making sound wine, while Monitoring the winemaking process from grapes to wine: techniques and concepts provides the information for conducting many of the cellar operations, stability tests and sensory evaluation methods required throughout the winemaking process. 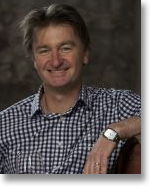 Andrew holds a degree in Horticultural Science from Lincoln University and a Masters degree in Enology and Viticulture from the University of California, Davis. 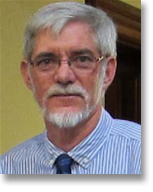 He taught oenology and sensory evaluation studies at Roseworthy Agricultural College and The University of Adelaide. After 27 years in teaching and research, Andrew spent 10 years as the Chief Winemaker/Viticulturist at Mountadam Vineyard and is currently a wine consultant.